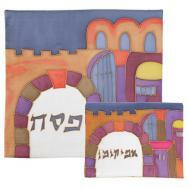 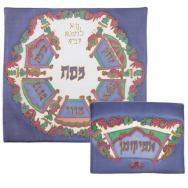 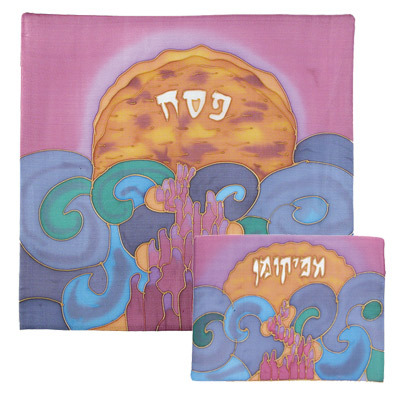 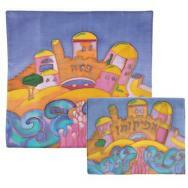 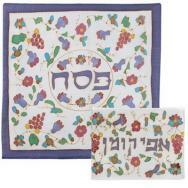 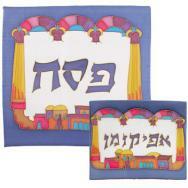 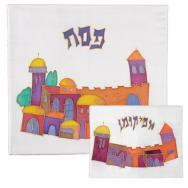 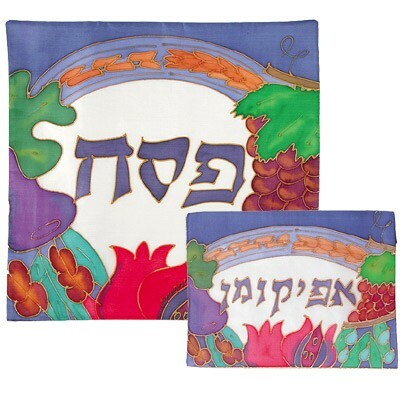 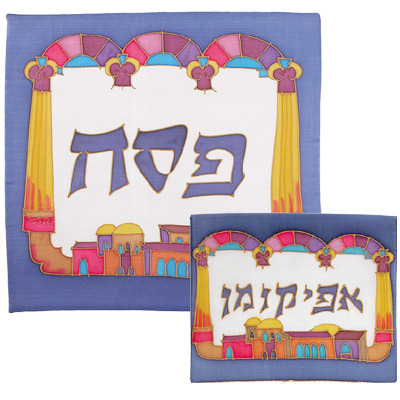 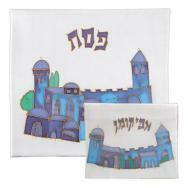 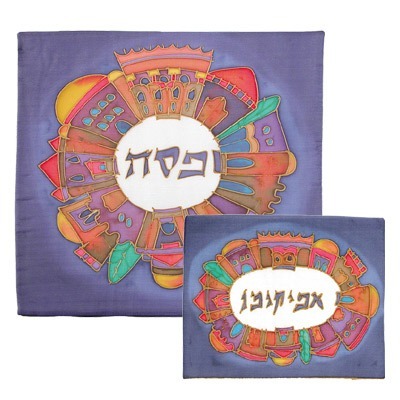 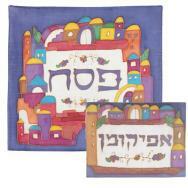 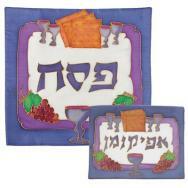 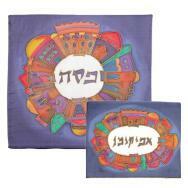 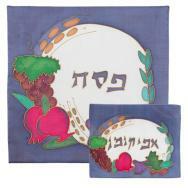 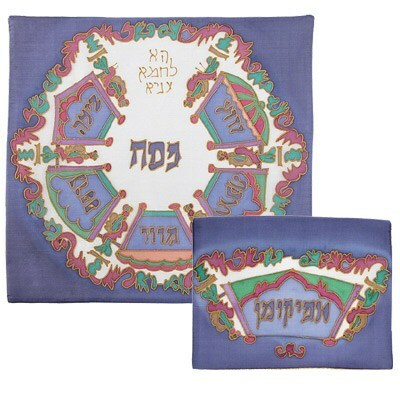 Yair Emanuel’s matzah and afikoman covers are decorated with handcrafted drawings on a 100% pure quality silk fabric. 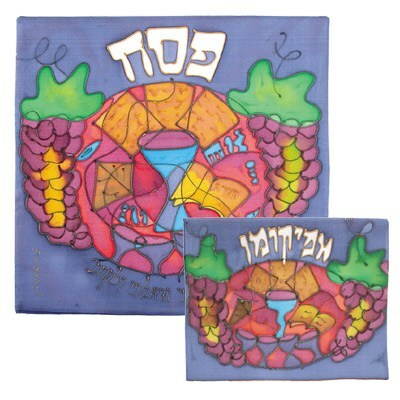 The drawings are bordered by golden and black lines, and the vivid colors accentuate the cover with a unique and impressive appearance. 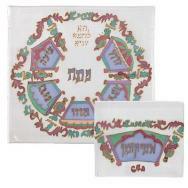 The respective inscriptions ‘Passover’ and ‘Afikoman’ are at the center of each of the covers, which come as a matching set. 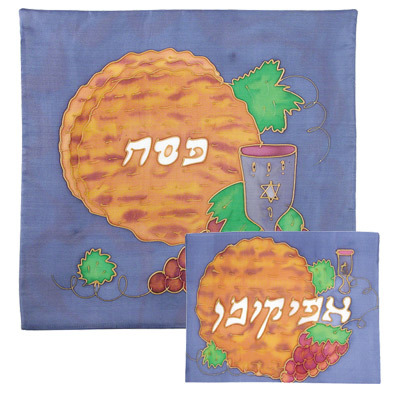 All matzah covers have three pockets, for the three matzahs. 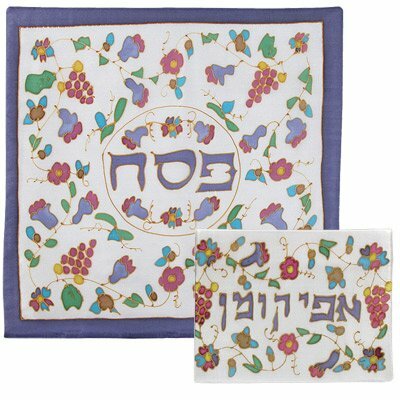 The patterns depict Jerusalem city views, the Seven Species, birds, flowers and Jewish motifs such as pomegranates and fish.